I've been in the Boracay Island more than five times already but there's always something in this place that entices me to come back. For the sixth time, I went to this sought after Island this June to cap off my summer getaway. It was another solo trip again that I truly enjoyed. I stayed in three hotels and among my favorite was my relaxing stay at Lime Hotel. Lime Hotel is strategically located in Station 2, 3 minutes of leisure walk to the White Beach and its roster of bars and restaurants; and just in a front of it are passing tricycles that you can easily hail for them to take you anywhere you wish. 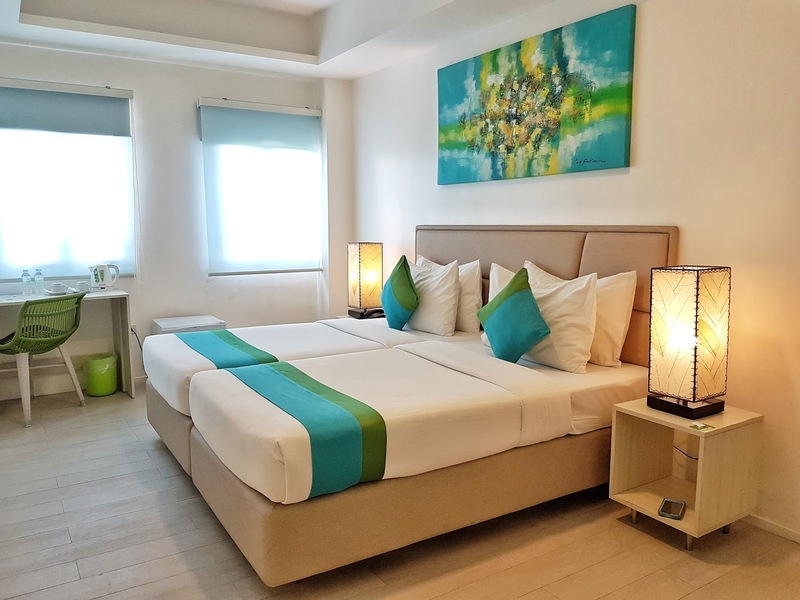 It features 46 air-conditioned rooms that come in 12 types at an affordable price. The lobby is on the 3rd floor, first and the second floor housed Bon Chon and a Chinese restaurant (where breakfast is being served), respectively. I was greeted with a warm smile and a welcome drink; and offered me a cold towel for freshening up. Checking in was quick and hassle-free. The scent was also refreshing that I'm assured I'm in a clean and well-maintained hotel. So far, they're making a good impression. 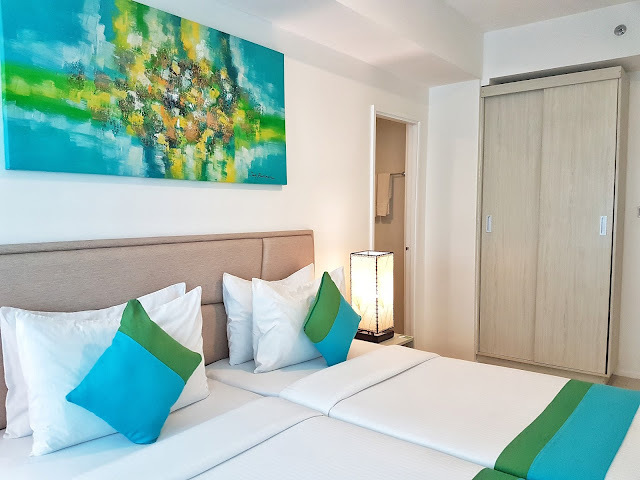 The hotel evokes an invigorating and pleasurable feel because of its lime green and cyan blue dominating colors adorned with minimalist and functional amenities. I got the deluxe room at the 7th floor. It was spacious, well-lit and has a relaxing vibe on it. My bed was comfortable that I forgot I was in Boracay as I was just asleep for the whole night and did not bother to party outside. The pillows and comforter were clean and soft. It has a beautiful painting embellished over the headboard that added the room's sophistication. I woke up the next day with a note slipped in my doorstep about the weather forecast which I appreciate so I could plan what I need to do in the next days. The room has flat-screen TV with satellite channels, mini refrigerator, water kettle for coffee/tea, and daily bottled water and coffee. Its bathroom has and overhead rain shower spout in addition to the handheld one. There's also a bidet and the shower is separated by a glass panel. Clean towels and toiletries are available for my use. On the same floor are their infinity pool and Sky Lounge bar. It's only 4 feet deep so I was delighted to dip and watch a marvelous sunset there. 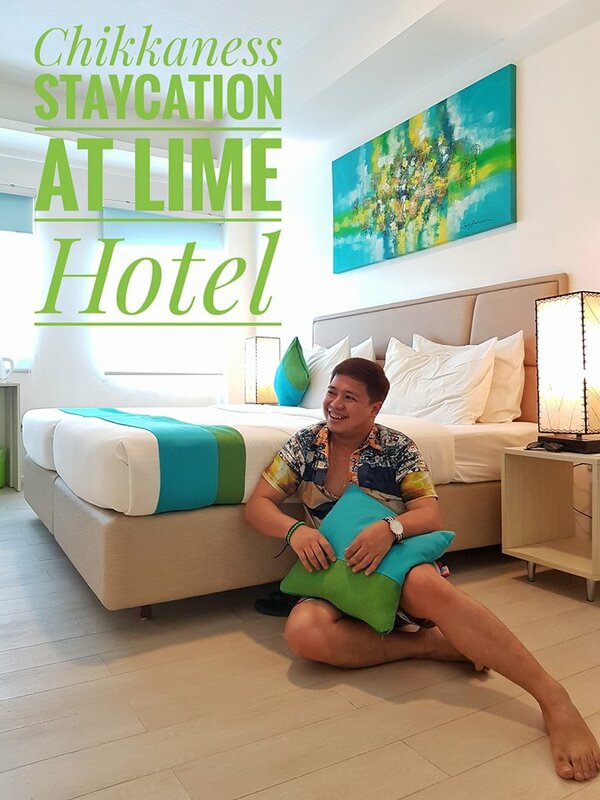 If you're looking for an accommodation that will put you at ease and a relaxing stay, then LIME hotel is a good choice. For someone like me who loves traveling solo, it's important that I'm housed in a place where the people seems to care about my welfare and that's the feeling I got with the warm reception of the staff at LIME.